Tile Bond /Adhesive - MUHU (China) Co., Ltd.
Tile bond is an adhesive mortar for installing all types of floor and wall tiles. It’s an unique mortar with chanracteristics of high sticking power, low water absorption, high chemical resistant with long life and easy tile installation. It may be applied to new concrete, old concrete, cement plaster, brick and block works. 1. Mixing: The mixing ratio with water is 1 to 4. 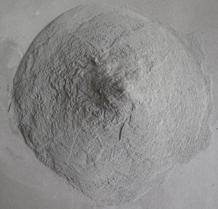 Except for water, no any other cement, sand or admixture allows to be added,. 2. Preparation: Add a certain amount of water into a clean barrel, then pour calculated adhesive mortar into it, mixing until a evenly and lump-free paste achieved. Usually, stirring it for 3 to 5 minutes with stirring speed less than 1000 times per minute. Then stand for 2 to 3 minutes, restirring it before applying. 3. Using time: The prepared adhesive mortar would better be used up within 45 minutes. 1. Make the concrete surface rough with depth in 5~10 mm with notched trowel, the gouge should be about 30mm.The concrete surface should be free from dust, mortar, grease, loose plaster. 2. Moisture the floor or wall surface before placing tile. 3. Lay the tile with good pressure to ensure good contact with adhesive. 4. To fill the tile gaps using white cement grout after placing 2 to 3 hours, the ratio of white cement with sand is 1 to 1. Make sure the grouting is full and evenly between the tile gaps. Then, clean the tile surface with moisture sponge. 5. The initial compressive setting remnant adhesive mortar can be applied again while add water and mixed with new prepared adhesive mortar. 6. Sun shading equipment should be used when the environmental temperature is higher than 35℃to avoid tile materials dehydration. The lowest applying temperature should be above 4℃..
1.5kg per square meter for mosaics with a 4mm notched trowel. 2.5kg per square meter for ordinary ceramics with a 6.5mm notched trowel. 4.0kg per square meter large tiles with a 10mm notched trowel. Tile bond/adhesive is packed in 30kg bag. The shelf life is 12 months in original sealed bags in dry condition.